What is caffeine withdrawal ? Who should avoid or limit caffeine ? Energy drinks are a group of beverages that contain caffeine, taurine, vitamins, herbal supplements, and sugar or sweeteners and are marketed to improve energy, weight loss, stamina, athletic performance, promote wakefulness, maintain alertness, and provide cognitive and mood enhancement and concentration 1), 2). Although they seem like a new fad, these drinks have been available to the general public for some time. For instance, Red Bull (currently one of the most popular energy drinks) was introduced in Austria in 1987 and to the United States in 1997. Historically, cola soft drinks have been available in their current caffeine-containing form since 1904, and in their original coca leaf (from which cocaine is derived) and kola nut (from which the caffeine is derived) form since 1886, with similar effects as energy drinks as they contain approximately 34mg of caffeine per 12oz can. These beverages have stimulant effects on the central nervous system (brain) and their consumption is accompanied by an expectation of improving user’s performance physically and mentally 3). Energy drinks mostly contain caffeine, taurine, l-carnitine, carbohydrates, glucuronolactone, vitamins, and other herbal supplements like ginseng and guarana among others 4). Additives such as guarana, yerba mate, cocoa, and kola nut may increase the caffeine content of energy drinks unbeknownst to consumers, as manufacturers of these products are not required to include the caffeine content of these herbal supplements in the nutritional information 5). Different brands of energy drinks contain caffeine ranging from 50mg to 550mg per can or bottle 6). Caffeine is one of the most commonly consumed alkaloids worldwide in the form of coffee, tea, or soft drinks, and in high doses may cause abnormal stimulation of the nervous system 7) as well as adverse effects in the cardiovascular, hematologic, and gastrointestinal systems 8). Caffeine is the main active ingredient in energy drinks; many of them contain 70 to 80 mg per 8-oz serving (∼3 times the concentration in cola drinks) 9). Caffeine content can be nearly 5 times greater than that in 8 oz of cola drinks when packaged as “energy shots” (0.8–3 oz) or as 16-oz drinks 10), 11). Energy shots a specialized kind of energy drink are the fastest-growing segment of the energy drink category. Overall, energy shots now account for 11 percent of the energy market. Whereas most energy drinks are generally sold in 12 and 16 fluid ounce (355 and 474 ml respectively) size cans or bottles, energy shots are usually sold in much smaller 50 ml bottles. Energy shots normally contain the same amount of caffeine, or other functional ingredients as their larger siblings, and therefore they may be considered concentrated forms of energy drinks 12). The market and degree of consumption of energy drinks is increasing every year and while only few have detailed knowledge of their potential harmful physiological and psychological effects, the number of publications that have documented the potential adverse risks associated with the use of these beverages remains small. A list of the top selling energy drinks and contents appears in Table 1.
aData on drink volume and caffeine content were obtained from the manufacturer via product label, website, or personal communication with manufacturer representatives. The one exception was that the caffeine content for BooKoo Energy was obtained from the CaffeinInformer website 14) which indicates the information was obtained from a Boo-Koo representative. When the authors contacted the BooKoo company directly, a BooKoo representative refused to disclose the drink’s caffeine content but did indicate that accurate information for the caffeine content of BooKoo Energy was available online. Ingredients: Carbonated water, sucrose, glucose, sodium citrate, taurine, glucuronolactone, caffeine, inositol, niacinamide, calcium-pantothenate, pyridoxine HCl, vitamin B12, artificial flavors, colors. Ingredients: Carbonated water, sugar, dextrose, taurine, citric acid, NITROUS™ Malate (DIArginine Malate), natural flavor, ENDURLAC™ (glucuronolactone), monopotassium phosphate, guarana (paullinia cupana) seed extract, caffeine, panax ginseng root extract, sodium benzoate (preservative), potassium sorbate (preservative), ascorbic acid, alpha-tocopheryl acetate, pyridoxine hydrochloride, riboflavin, yellow #5, beta-carotene (color), cyanocobalamin. Ingredients: Carbonated water, high fructose corn syrup, citric acid, taurine, natural flavors, sodium citrate, sodium benzoate (to protect taste), ginseng extract, caffeine, carnitine fumarate, yellow 6, caramel color, niacinamide (vitamin B3), pyridoxine hydrochloride (vitamin B6), guarana extract, cyanocobalamin (vitamin B12). Ingredients: Carbonated water, high fructose corn syrup, citric acid, orange juice from concentrate, natural flavors, guarana, sodium benzoate, sodium polyphosphates, maltodextrin, caffeine, gum arabic, erythoric acid, taurine, panax ginseng, calcium disodium edta (to product flavor), potassium benzoate, brominated vegetable oil, yellow 5. Ingredients: Carbonated water, high fructose corn syrup, citric acid, natural and artificial flavors, concentrated orange juice, sodium benzoate and EDTA (to protect taste), caffeine, potassium citrate, yellow 5, carob bean gum. Ingredients: Taurine, Caffeine, L-Theanine, Quercetin, Maltodextrin, Green Tea Extract, D-Glucuronolactone, Guarana Extract, Elderberry Extract, D-Calcium Pantothenate, N-Acetyl L-Tyrosine, Garcinia Cambogia, Grape Seed Extract 80% Polyphenols, Yerba Mate Extract, Beta-Alanine, Thiamin Mononitrate, Riboflavin, Acai Berry Extract, L-Glutathione, Purified Water, Cirtic Acid, Natural Flavors, Sodium Benzoate and Potassium Sorbate (preservatives), Sucralose, Acesulrame Potassium and EDTA. Caffeine (1,3,7-trimethylxanthine) is an adenosine and benzodiazepine receptor antagonist, phosphodiesterase inhibitor, and central nervous system stimulant 24), 25). Caffeine is a pharmacologically active component of many foods, beverages, dietary supplements, and drugs; it is also used as caffeine citrate, used to treat very ill newborns afflicted with apnea (temporary cessation of breathing) and bronchopulmonary dysplasia in premature infants 26). Caffeine occurs naturally in some plant leaves, seeds, and fruits, where it serves as an herbicide, insect repellant, and even attractant for pollination 27). This botanically sourced compound is the most commonly consumed stimulant worldwide 28). Caffeine enters the human food chain through plant-derived foods such as coffee beans, tea leaves, guarana, cocoa beans, and kola nuts 29). Of the psychoactive substances consumed worldwide, caffeine is the world’s most popular drug and it is used most widely. However, it is legal and unregulated unlike other psychoactives. The FDA classifies caffeine as a “Multiple Purpose Generally Recognized as Safe Food Substance” (21 CFR, Section 182.1180), at a use level not to exceed 200 ppm (0.02%), stating that moderate caffeine intake produces no increased risk to health. Although the US Food and Drug Administration (FDA) imposes a limit of 71 mg of caffeine per 12 fl oz of soda, which are categorized as food, there is no such regulation of energy drinks, which are classified as dietary supplements 30). Energy drink manufacturers may circumvent this limit by claiming that their drinks are “natural dietary supplements.” Thus, safety determinations of energy drinks are made solely by the manufacturers, and there are no requirements for testing, warning labels, or restriction against sales or consumption by minors. At least 130 energy drinks now exceed 0.02% caffeine, including one that contains 505 mg in a 24 oz can (the equivalent of 14 cans of a typical cola or several cups of coffee) 31). Many manufacturers are not subject to the prior caffeine limits by claiming that their new products fall under the 1994 Dietary Supplement Health and Education Act, which classifies products deriving from herbs and natural sources as dietary supplements rather than drugs 32). Other manufacturers appear to be ignoring the FDA caffeine limits and FDA has not enforced the limits. The FDA has been lax in regulating the caffeine content of energy drinks and does not require warning labels advising proper use or the amount of caffeine in the product, as it does for over-the-counter (OTC) caffeine-containing stimulants. In contrast, over-the-counter dedicated caffeine stimulants (eg, No-Doz) must list the minimum age for purchase (12 years), adverse effects, cautionary notes, recommended dose, and the total daily recommended dose of caffeine. It is a striking inconsistency that, in the U.S. an OTC stimulant medication containing 100 mg of caffeine per tablet (e.g. No-Doz) must include all the above warnings, whereas a 500 mg energy drink can be marketed with no such warnings and no information on caffeine dose amount in the product 33). The average amount of caffeine consumed has remained constant at approximately 300 milligrams (mg) per person per day. The major food sources of caffeine are coffee, soft drinks and tea. Teenagers and young adults consumed roughly one-third the amount of caffeine as adults, or about 100 mg per day, and “energy drinks” contributed only a small portion of caffeine consumed by teenagers 34). More than 97% of the caffeine intake of teenagers and adults and about 95% intake of the children 2 to 13 come from beverage sources. Solid food supplies contribute only a very small amount to dietary caffeine intake. The amount of caffeine in food products varies, depending on the serving size, the type of product and the preparation method 35). Up to 90% of Americans of all ages consume some caffeine daily with more than 50% consuming coffee daily 36). More than 50% average 300mg caffeine per day, with an average daily dosage for all consumers of about 200mg. One report estimates nearly 95% of Brazil’s population consumes caffeine daily, whereas only about 63% of Canadian adults do so. The average dietary caffeine consumption in some Scandinavian countries is more than 400 mg per person per day. It is not hard to reach 200-300mg of caffeine daily since a standard eight-ounce cup of coffee made by the American drip method contains between 125mg and 250mg of caffeine. A 12-ounce can of Coca-Cola contains 34mg. Also, the usual ‘cup’ of coffee for many individuals is often actually 12 or even 16 ounces and sometimes more. In healthy adults, a caffeine intake of ≤400 mg/day is considered safe; acute clinical toxicity begins at 1 g, and 5 to 10 g can be lethal 37). The emergence of caffeine containing energy drinks, combined with controversies regarding the potential for increased consumption by non-adult populations 38), has been accompanied by concerns regarding the impact of these products on consumer health. Regulatory agencies worldwide, including those in the United States 39), 40), Europe 41), Canada 42), New Zealand, India, and Australia, have evaluated caffeine safety, and several agencies have issued guidance regarding daily intake amounts 43), 44). The most widely cited of these values is from Health Canada 45), in which the agency authors conducted a comprehensive (but not systematic) literature search and concluded in a peer-reviewed publication that an intake dose of up to 400 mg caffeine/day was not associated with adverse effects in healthy adults. Nawrot et al. 46) also concluded that consumption of up to 300 mg/day for pregnant women and 2.5 mg/kg/day for children is not associated with adverse effects 47). The American Academy of Pediatrics recommends that Adolescents aged 12–18 years should not exceed 100 mg of caffeine a day 48), this is the amount of caffeine in a cup of coffee 49). An 8-ounce cup of tea: 14-60 mg.
Physiologically, caffeine causes coronary and cerebral vasoconstriction, relaxes smooth muscle, stimulates skeletal muscle, has cardiac chronotropic and inotropic effects, reduces insulin sensitivity, and modulates gene expression in premature neonates 50), 51), 52). Large amounts of caffeine increase urine flow and sweat excretion and alter blood electrolyte levels 53), 54). Although caffeine is a mild diuretic, consumption of ≤500 mg/day does not cause dehydration or chronic water imbalance 55). Caffeine is a ventilatory stimulant with anti-inflammatory and bronchoprotective effects 56). Caffeine has been linked to dyspnea on exertion from central and peripheral chemoreceptor stimulation 57). In addition, increased breathing work may divert blood flow away from locomotor muscles and negate any ergogenic (performance enhancing) advantage 58). Caffeine’s cardiovascular effects include decreased heart rate from stimulation of medullary vagal nuclei and increased blood pressure. Adults who consume low-to-moderate amounts of caffeine (1–3 mg/kg or 12.5–100 mg/day) have improved exercise endurance, cognition, reaction time, and mood with sleep deprivation 59). However, these studies typically involve habitual caffeine consumers, and results reflect withdrawal-symptom reversal 60). Consuming 4 to 12 mg/kg of caffeine has been associated with undesirable symptoms, including anxiety and jitteriness 61). Headache and fatigue, common withdrawal symptoms, can occur after short-term, high-dose use 62). Caffeine intoxication is a clinical syndrome of nervousness, irritability, anxiety, insomnia, tremor, tachycardia, palpitations, and upset stomach 63). Additional adverse effects include vomiting and abdominal pain, hypokalemia, hallucinations, increased intracranial pressure, cerebral edema, stroke, paralysis, rhabdomyolysis, altered consciousness, rigidity, seizures, arrhythmias, and death 64), 65), 66). Caffeine intakes of >300 mg/day have been associated with miscarriage and low birth weight 67), 68). Long-term caffeine consumption relates to a lower risk of Parkinson disease and a slower age-related cognitive decline 69). The US poison control centers have not specifically tracked the prevalence of overdoses attributed to energy drinks, because exposures were coded as “caffeine” or “multisubstance exposures” and combined with other caffeine sources 70). Energy drinks were recently given unique reporting codes, so their toxicity can now be tracked 71). Of the 5,156 reported cases of energy drink exposure, 40 percent were unintentional, (i.e. unforeseen or unplanned) exposures by young children. Moderate to major outcomes were reported in 42 percent of cases involving energy drinks that had been mixed with ethanol (alcohol) and in 19 percent of non-alcohol-containing energy drinks. Among cases across all age groups with major outcomes, cardiovascular effects (including an abnormal heart rhythm and conduction abnormalities) were reported in 57 percent of cases, and neurologic effects (seizures, including status epilepticus) in 55 percent. The reported data probably represent the tip of the iceberg, because the reports to poison control centers vastly underestimate the problem because many people who become ill from energy drinks don’t call the hotlines and emergency room visits are not included. However, researchers don’t yet know whether compounds other than caffeine in the energy drinks contribute to the ill effects. Many of the added ingredients have never been tested for safety in children and have never been tested in combination. Germany has tracked energy drink–related incidents since 2002 75). Reported outcomes include liver damage, kidney failure, respiratory disorders, agitation, seizures, psychotic conditions, rhabdomyolysis, tachycardia, cardiac dysrhythmias, hypertension, heart failure, and death 76). Ireland’s poison center reported 17 energy drink adverse events including confusion, tachycardia, and seizures and 2 deaths between 1999 and 2005 77). New Zealand’s poison center reported 20 energy drink/shot–related adverse events from 2005 to 2009; 12 cases were referred for treatment of vomiting, nausea, abdominal pain, jitteriness, racing heart, and agitation 78). The minimum and maximum symptomatic caffeine levels were 200 mg (4 mg/kg) in a 13-year-old with jitteriness and 1622 mg (35.5 mg/kg) in a 14-year-old. The maximum volume consumed was fifteen 250-mL cans (11.5 mg/kg caffeine) during 1 hour. One 23-year-old chronic energy drink consumer had a myocardial infarction (heart attack) 79). The American Academy of Pediatrics recommends that adolescents do not consume energy drinks, yet between 30–50% reported consuming energy drinks 80), 81). The National Federation of State High School Associations recommends that young athletes should not use energy drinks for hydration, and information about the potential risk should be widely distributed to young athletes 82). Nationwide, 75% of school districts do not have a policy in place regarding these types of beverages that contain high levels of caffeine for sale in vending machines, schools stores, or a la carte in the cafeteria 83). Moreover, adolescent and child caffeine consumption should not exceed 100 mg/day and 2.5 mg/kg per day, respectively 84). Caffeine poisoning can occur at levels above 100 mg a day in adolescents; and at 2.5 mg per kilogram (2.2 pounds) of body weight in children younger than 12. For example, 8 oz of Red Bull provides 77 mg of caffeine, or 1.1 mg/kg for a 70-kg male or 2.2 mg/kg for a 35-kg preteen. Whether the effects of caffeine in adults can be generalized to children remains unclear 85). In a study of 26 boys and 26 men, the same dose of caffeine affected blood pressure similarly, but heart rate was significantly lowered in boys, whereas there was no effect on heart rate in men.68 Boys also exhibited more increased motor activity and speech rates and decreased reaction time than did men 86). Caffeine can improve attention, but it also increases blood pressure and sleep disturbances in children 87), 88). After cessation in children who habitually consume caffeine, attention decreases and reaction time increases transiently 89). Similarly, reaction time has been shown to decrease as the dose of caffeine in children increases 90). In a study of 9- to 11-year-olds with habitual (mean intake: 109 mg/day) and low (mean intake: 12 mg/day) caffeine consumption given 50 mg of caffeine after overnight abstention, habitual caffeine users reported withdrawal-symptom (headache and dulled cognition) reversal. The children who did not habitually consume caffeine reported no marked changes in cognitive performance, alertness, or headache 91). Caffeine may affect future food and beverage preferences by acting on the developing child’s brain reward-and-addiction center; this effect may be gender specific 92). A study of 12- to 17-year-olds revealed that boys found caffeinated soda more reinforcing than did girls regardless of usual caffeine consumption 93). Teachers and other school staff can educate students about the danger of consuming too much caffeine, including energy drinks. Coaches can educate athletes about the difference between energy drinks and sports drinks and potential dangers of consuming highly caffeinated beverages. School nutrition staff can provide only healthy beverages such as fat-free/low-fat milk, water, and 100% juice if extra items (i.e., a la carte items) are sold in the cafeteria. Parents, school staff, and community members can join the school or district wellness committee that sets the policies for health and wellness and establish or revise nutrition standards to address the sale and marketing of energy drinks in school settings. Everyone can model good behavior by not consuming energy drinks in front of kids. Caffeine stimulates your central nervous system, which can make you feel more awake and give you a boost of energy. Caffeine is a diuretic, meaning that it helps your body get rid of extra salt and water by urinating more. Caffeine increases the release of acid in your stomach, sometimes leading to an upset stomach or heartburn. Caffeine may interfere with the absorption of calcium in the body. Caffeine increases your blood pressure. Within one hour of eating or drinking caffeine, it reaches its peak level in your blood. You may continue to feel the effects of caffeine for four to six hours. Insomnia. Most adults need seven to eight hours of sleep each night. But caffeine, even in the afternoon, can interfere with this much-needed sleep. Chronically losing sleep — whether it’s from work, travel, stress or too much caffeine — results in sleep deprivation. Sleep loss is cumulative, and even small nightly decreases can add up and disturb your daytime alertness and performance. Using caffeine to mask sleep deprivation can create an unwelcome cycle. For example, you may drink caffeinated beverages because you have trouble staying awake during the day. But the caffeine keeps you from falling asleep at night, shortening the length of time you sleep. Dependency, so you need to take more of it to get the same results. Some people are more sensitive to the effects of caffeine than others. If you’re susceptible to the effects of caffeine, just small amounts — even one cup of coffee or tea — may prompt unwanted effects, such as restlessness and sleep problems. How you react to caffeine may be determined in part by how much caffeine you’re used to drinking. People who don’t regularly drink caffeine tend to be more sensitive to its negative effects. Other factors may include genetics, body mass, age, medication use and health conditions, such as anxiety disorders. Do not underestimate the power or potency of caffeine. An abrupt decrease in caffeine may cause withdrawal symptoms, such as headaches, fatigue, irritability and difficulty focusing on tasks. Fortunately, these symptoms are usually mild and resolve after a few days. Caffeine dependency can occur after as little as seven days of exposure. 100mg per day can sustain dependency. In fact, many individuals can avoid caffeine withdrawal symptoms by as little as 25mg—the equivalent of about two tablespoons of most “gourmet” coffees. Carefully controlled studies show that caffeine doses as low as about 10mg can be reliably noticed by particularly sensitive people. These studies also show that more than 30 percent of people can feel the effects of 18mg or less. Studies of caffeine dependency and tolerance show that daily caffeine users are actually more motivated to consume it to avoid withdrawal symptoms, than to experience the lift that its stimulant properties may provide. Caffeine’s combination of a punishing syndrome of withdrawal, along with a rewarding sense of wakefulness, has made coffee, tea, and chocolate, some of humanity’s best-loved foods. One might say that caffeine-producing plants have succeeded in motivating humans to cultivate them widely and with very great care. Not everyone consuming daily caffeine is equally likely to develop dependency and withdrawal syndrome. Studies indicate that genetics make some people more likely than others. Scientists do not know whether the inherited tendency to experience caffeine withdrawal syndrome relates to the genetic factors that cause migraine. In summary, caffeine may lead to the development of medication-overuse headache (so-called “rebound” headache). As such, patients should limit caffeine use as recommended for other acute medications for migraine. This use should not exceed two days per week. Removing caffeine alone is rarely enough to solve the problem. For patients with high daily caffeine intake, this reduction in use should be achieved over a gradual taper of days or even weeks to limit the impact of withdrawal syndrome. These symptoms usually go away after a couple of days. Take certain medicines or supplements, including stimulants, certain antibiotics, asthma medicines, and heart medicines. Check with your health care provider about whether there might be interactions between caffeine and any medicines and supplements that you take. Are a child or teen. Neither should have as much caffeine as adults. Children can be especially sensitive to the effects of caffeine. Cocoa a major ingredient in chocolate products, contains a small amount of caffeine. Cocoa’s weak stimulant effect may also be due to a combination of the theobromine and theophylline it contains, as well as caffeine. The amounts of these compounds contained in chocolate products are too small for typical servings to create effects equal to those of coffee. Chocolate bars (in a typical 28g serving) contain from 11 to 115 mg of caffeine. Coffee beans from which coffee are brewed constitute the primary source of caffeine. The caffeine content in coffee varies widely, depending on the type of coffee bean and the method of preparation; even beans from a given coffee bush can vary in their caffeine concentration. Roasted coffee beans contain 0.8–2.5% caffeine. Generally, dark-roast coffee has less caffeine than lighter roasts because the roasting process reduces the bean’s caffeine content. Arabica coffee normally contains less caffeine than the Robusta variety. In general, one serving of coffee ranges from 64 mg for a single cup (30 ml) of espresso to about 145 mg for an 8-oz. ounce cup (237 ml) of automatic drip coffee. Purported effect from energy drinks – increases exercise endurance and improves cognition and mood when fatigued or sleep-deprived. Guarana, grown in South America, typically contains more caffeine than coffee beans (2-4.5% vs. 5%). Each gram of guarana can contain 40 to 80 mg of caffeine, and it has a potentially longer half-life because of interactions with other plant compounds 95). Manufacturers are not required to list the caffeine content from these ingredients 96). Thus, the actual caffeine dose in a single serving may exceed that listed 97). In addition, guarana contains other stimulants such as theobromine and theophylline (a chronotrope and an inotrope) and tannins 98). Purported effect from energy drinks – a stimulant, mainly through the effects of caffeine, and weight loss. Kola nuts from trees in African rainforests also contains caffeine. Kola was once used in making cola soft drinks, but artificial flavorings are now generally used. Caffeine content ranges between 2 to 3.5%; also contains theobromine at 2.5% concentration 99). Some new energy drinks contain Kola nut extract. Tea fresh leaves contain about 4% caffeine. Tea beverages typically contain about 20 to 80 mg of caffeine per cup—about half the caffeine per serving of coffee. Black tea’s caffeine content is higher than that of most other teas. Preparation affects brewed tea’s caffeine content, although the color of brewed tea is not a good indicator of the amount of caffeine in the tea; for example, the Japanese green tea Gyokuro, a pale tea, contains much more caffeine than do dark teas like Lapsang Souchong, which has very little. Taurine a functional food ingredient added to many energy drinks and energy products as a caffeine adjuvant. Caffeine and taurine are dissimilar. Whereas caffeine is a stimulant, taurine is an amino acid produced naturally by the body especially in your central nervous system 100). Taurine is also found naturally in meat, fish and breast milk. Taurine acts in neural growth and protection, cell metabolism, osmoregulation, antioxidation, and glycolysis; estimated daily intake is 400 mg/day. Infant formula has been supplemented with taurine since the 1980s because of evidence that it promotes healthy development; used to treat alcohol withdrawal, congestive heart failure, cystic fibrosis, palpitations/dysrhythmias, hypertension, diabetes, seizure disorders, hepatitis 101). Purported effect from energy drinks – marketed to promote eye and biliary health and to prevent congestive heart failure by lowering blood pressure while improving cardiac contractility. Caffeine and taurine combined may synergistically decrease heart rate initially; one study found that 70 minutes after consumption, heart rate returned to normal and blood pressure increased 102). Taurine similarly produced a reflex bradycardia when injected into the rat cerebroventricular system 103). Another study of 15 healthy young adults in a 7-day trial in which they consumed 500 mL of an energy drink each day with 160 mg of caffeine and 2000 mg of taurine, reported an average increase in systolic blood pressure of 9 to 10 mm Hg and an average increased heart rate of 5 to 7 beats per minute 4 hours after consumption 104). Caffeine- and taurine-containing beverages increased left atrial contractility in 13 athletes, thereby increasing left ventricular end-diastolic volume and stroke volume 105). The caffeine-only group showed no changes in left ventricular function 106). Taurine may cause this increase in stroke volume by suppressing sympathetic nervous stimulation and influencing calcium stores in cardiac muscle.8 Results of human and animal studies have suggested that long-term taurine exposure may cause hypoglycemia25 but a decreased risk of coronary heart disease 107). In animal experiments, taurine also has shown anticonvulsive and epileptogenic properties 108). Yerba maté contains xanthenes —stimulants in the same family as caffeine, theophylline, and theobromine, all of which found in coffee and chocolate. Yerba maté’s caffeine content ranges from 0.3wt% to 1.7wt% dry. In addition it contains theobromine at 0.3-0.9% level. Although yerba maté products are sometimes marketed as “caffeine-free” alternatives to coffee and tea, such claims are based on assuming that “mateine”—the primary active xanthine in maté —is a caffeine stereoisomer. That is a chemical impossibility, however; in fact, chemical databases treat “mateine” as a caffeine synonym. L-Carnitine is an amino acid involved in β-oxidation of fatty acids. It is used as a therapeutic supplement in congenital and acquired-deficiency states, end-stage renal disease, valproate toxicity, and dementia; increases attention and decreases hyperactivity in certain populations of children; nonstimulant l-acetyl-carnitine is used to treat ADHD in boys with fragile X syndrome and, in 1 study, children with typical ADHD; it may also protect against heart disease 109). Purported effect from energy drinks – added to promote fat metabolism and increase endurance. At doses of approximately 3 g/day, carnitine supplements can cause nausea, vomiting, abdominal cramps, diarrhea, and a “fishy” body odor 110). Rarer side effects include muscle weakness in uremic patients and seizures in those with seizure disorders. Some research indicates that intestinal bacteria metabolize carnitine to form a substance called TMAO that might increase the risk of cardiovascular disease 111). This effect appears to be more pronounced in people who consume meat than in vegans or vegetarians. The implications of these findings are not well understood and require more research. Side effects: In high doses, can cause nausea, vomiting, abdominal pain, and diarrhea; has been reported to cause seizures in patients with no known disease and to increase seizure frequency in patients with seizure disorder 112). Ginseng is a East Asian herb – believed to improve memory, increase stamina, and stimulate immune function. Purported effect from energy drinks – improve physical performance. Side effects: Reported symptoms of ginseng toxicity include diarrhea, vaginal bleeding, headache, vertigo, mania, hypertension, rashes, insomnia, irritability, Stevens-Johnson syndrome, and agranulocytosis; some of these symptoms may be related to contaminants, such as phenylbutazone and aminopyrine, used in its processing 113). The most common side effects of ginseng are headaches, sleep problems, and digestive problems. Some evidence suggests that Asian ginseng might affect blood sugar and blood pressure. If you have diabetes or high blood pressure, consult your health care provider before using Asian ginseng. Ginseng can also prolong bleeding time and should not be combined with warfarin; interacts with phenelzine sulfate in patients being treated for mania; may interfere with estrogens or corticosteroids; may impede digoxin metabolism; reduces blood glucose levels 114). Ginseng, a common ingredient in many energy drinks, may lower blood glucose levels, but its actions in energy drinks are unclear 115). There have been many studies of Asian ginseng in people, but few have been high quality. Therefore, our understanding of Asian ginseng’s health effects is limited 116). There’s currently no conclusive evidence supporting any health benefits of Asian ginseng. Short-term use of Asian ginseng in recommended amounts appears to be safe for most people. However, questions have been raised about its long-term safety, and some experts recommend against its use by infants, children, and women who are pregnant or breastfeeding 117). Yohimbine is an alkaloid found in the plants Pausinystalia yohimbe and Rauwolfia serpentina native to western Africa 118). A herbal supplement in parts of Africa, tea made from yohimbe bark believed to be an aphrodisiac and to relieve chest pain, diabetic complications, depression, and erectile dysfunction. Purported effect from energy drinks – increase energy, metabolism, and stamina; promotes well-being. There is very little research in people on the effects of yohimbe as a dietary supplement. But studies have documented the risks of taking it. Side effects: Yohimbine can cause hypertension at usual doses and hypotension at high doses; tachycardia, death 119). Yohimbe has been associated with heart attacks and seizures. Yohimbe caused stomach problems, tachycardia (a rapid heartbeat), anxiety, and high blood pressure, according to a study comparing calls about yohimbe and other substances made to the California Poison Control System between 2000 and 2006 120). People calling about yohimbe were generally more likely to need medical care than other callers. Yohimbine affects cardiac function and should not be combined with tricyclic antidepressants, bupropion, phenothiazines, clonidine, stimulants, decongestants, or other blood pressure-lowering medications 121). Bitter Orange is a native to eastern Africa and tropical Asia, bitter orange now is grown throughout the Mediterranean region and elsewhere, including California and Florida. Bitter orange has been used in traditional Chinese medicine and by indigenous people of the Amazon rainforest for constipation. Amazonian natives also used it for nausea and indigestion 122). The fruit, peel, flower, and oil are used and can be taken by mouth in tablets and capsules. Bitter orange oil can be applied to the skin. The National Collegiate Athletic Association (NCAA) placed synephrine (bitter orange) on its current list of banned drugs. Today, people use various bitter orange products as a dietary supplement for heartburn, loss of appetite, nasal congestion, and weight loss. It is also applied to the skin for pain, bruises, and bed sores. Bitter orange, used in some weight-loss products, contains synephrine, which is similar to the main chemical in the herb ephedra. Ephedra is banned by the U.S. Food and Drug Administration because it raises blood pressure and is linked to heart attack and stroke. Applying bitter orange oil to the skin may help with ringworm, jock itch, and athlete’s foot infections 123). There’s not enough scientific evidence to support the use of bitter orange for other health purposes 124). There are case reports of healthy people experiencing fainting, heart attack, and stroke after taking bitter orange alone or with caffeine 125). However, evidence regarding the effects of bitter orange (alone or combined with other substances, such as caffeine and green tea) on the heart and cardiovascular system are inconclusive 126), 127). Because products that contain bitter orange may be unsafe, pregnant women and nursing mothers should avoid them. Vinpocetine increases the risk for excessive bleeding and should not be combined with aspirin, clopidogrel, warfarin, pentoxifylline, vitamin E, garlic, and gingko. 5-Hydroxy tryptophan should not be combined with monoamine oxidase inhibitors. St. John’s Wort. A herb used to reduce stress and improve mood. Energy drinks have no therapeutic benefit, and many ingredients are understudied and not regulated. The known and unknown pharmacology of agents included in such drinks, combined with reports of toxicity, raises concern for potentially serious adverse effects in association with energy drink use 128). Small studies have associated energy drinks—beverages that typically contain high concentrations of caffeine and other stimulants—with serious adverse health events 129). Specific effects that have been reported by adolescents include jitteriness, nervousness, dizziness, the inability to focus, difficulty concentrating, gastrointestinal upset, and insomnia. Health care providers report that they have seen the following effects from the consumption of energy drinks: dehydration, accelerated heart rates, anxiety, seizures, acute mania, and strokes 130). Of 2.3 million calls to the US National Poison Data System between October 1, 2010 and September 30, 2011, 4854 (0.2%) were energy drink-related. 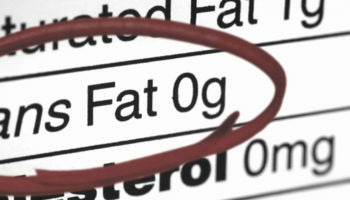 The 3192 (65.8%) cases involving energy drinks with unknown additives were excluded. Of 1480 non-alcoholic energy drink cases, 50.7% were children < 6 years old; 76.7% were unintentional; and 60.8% were males 131). The incidence of moderate to major adverse effects of energy drink-related toxicity was 15.2% and 39.3% for non-alcoholic and alcoholic energy drinks, respectively. Major adverse effects consisted of three cases of seizure, two of non-ventricular dysrhythmia, one ventricular dysrhythmia, and one tachypnea 132). Of the 182 caffeinated alcoholic energy drink cases, 68.2% were < 20 years old; 76.7% were referred to a health care facility 133). The conclusions of the study – about half the cases of energy drink-related toxicity involved unintentional exposures by children < 6 years old. Just one energy drink may boost heart disease risk in young adults. Drinking one 16-ounce energy drink boosts blood pressure and stress hormone responses in young, healthy adults, according to a study presented at the American Heart Association’s Scientific Sessions 2015 134). These changes could conceivably trigger new cardiovascular events. Researchers studied 25 healthy young adults with no known cardiovascular risk factors. Each drank one 16-ounce can of a commercially available energy drink or a sham drink in random order on two separate days. Researchers measured participants’ blood pressure and blood levels of norepinephrine before and 30 minutes after drink consumption. Norepinephrine is a “fight or flight” chemical that increases blood pressure and the heart’s ability to contract and it modulates heart rate and breathing in response to perceived stress. Researchers found that in addition to increases in blood pressure after consuming the energy drink, participants’ norepinephrine levels increased more than twice as much when compared to those who drank the sham drink 135). Specifically, norepinephrine levels increased by almost 74 percent after the energy drink consumption, versus by 30 percent after the sham drink. Researchers said their findings suggest increases in blood pressure and stress hormones could predispose otherwise healthy, young adults to increased cardiovascular risk. According to a randomised, double blind, controlled crossover study in the Journal of the American Heart Association, a 32-ounce energy drink with 320 milligrams of caffeine resulted in more profound changes in the heart’s electrical activity and blood pressure than a 32-ounce control drink with the same amount of caffeine 136). For the study, researchers randomly divided 18 participants into two groups. The first group drank a commercially available energy drink containing 108 grams of sugar, 320 mg of caffeine and various other compounds. The second group had a control drink containing 320 mg of caffeine, 40 milliliters of lime juice and 140 ml of cherry syrup in carbonated water. After a six-day washout, participants switched drinks. Researchers measured the electrical activity of participants’ hearts using an electrocardiogram. They also measured their peripheral and central blood pressures at the study’s start and at one, two, four, six and 24 hours after drink consumption. Peripheral blood pressure is the measurement of the pressure in an outlying artery, typically an upper arm. Central blood pressure is the measurement of the pressure in the aorta near the heart. Those in the energy drink group had a corrected QT interval 10 milliseconds higher at two hours than the caffeine group. The QT interval is the measurement of the time it takes ventricles in the heart (the lower chambers) to repolarize, or prepare to generate a beat again. It’s the pause from the end of the electrical impulse generating the heart to beat to the next impulse. To put the 10-millisecond difference into perspective, medications that affect the corrected QT interval by 6 milliseconds have label warnings. If this time interval, which is measured in milliseconds, is either too short or too long, it can cause the heart to beat abnormally 137). The resulting arrhythmia can be life-threatening 138). Both groups had similar increases in systolic blood pressure, but levels in the caffeine group had almost returned to their original readings after six hours. On the other hand, those who consumed the energy drinks still had a mildly elevated blood pressure after six hours 139). This suggests that ingredients other than caffeine may have some blood pressure-altering effects, but this needs further evaluation 140). Based on this preliminary evidence in young, healthy adults, people who have high blood pressure, underlying cardiac conditions or other health issues might want to avoid or use caution when consuming energy drinks until more is known about their impact on heart health. A double-blind, placebo-controlled study of 10 graduate students investigating an energy drink containing the three main ingredients found that in most energy drinks, caffeine, taurine, and glucuronate demonstrated positive effects on cognitive performance and mood 141). Mood was assessed through a questionnaire that measured feelings of well-being, vitality, and social interaction, all of which were reduced in the placebo group as compared to the energy drink group. In a separate study 142), the investigators evaluated cognitive performance and mood state following administration of an energy drink as well as beverages consisting of the individual components of the energy drink. This randomized, double-blind, balanced, five-way crossover design included 20 participants who consumed 250mL drinks containing either 37.5g glucose, 75mg caffeine, ginseng, or ginkgo biloba, a whole drink (containing all of the aforementioned substances), or a placebo. Cognitive performance and mood were assessed for each participant in each drink condition immediately prior to drink administration and 30 minutes after. There was a seven-day washout period between each of the five groups. The study results showed that subjects randomized to receive the whole drink, as compared to those who received placebo, demonstrated significantly improved performance on “secondary memory” (a combination of delayed picture and word recognition), immediate and delayed word recall, and “speed of attention” factors (simple reaction time, choice reaction time, and digit vigilance). In regard to the individual components of the drinks, none led to significantly improved performance on tasks assessed, but caffeine alone demonstrated a trend toward significance on quality of memory, delayed word recognition, and accuracy of attention, which may be borne out with a larger study sample. There were no significant differences between groups on measures of mood. The investigators concluded that evidence from this study suggests some connection exists between the cognition-modulating effects of glucose and caffeine 143). While their conclusions provide further evidence of the benefits of these beverages, the authors do suggest that more studies are performed to further validate these findings. Energy drinks are known to improve mental performance. For example, concentration and memory (immediate recall) improved in a study of 36 volunteers who consumed Red Bull energy drink 144). A limitation of this study, however, is that it does not address the questions of how each component of energy drinks, the combination of ingredients, or the differing concentrations of individual components have differential effects on consumers. Three studies published in two articles by Kennedy 145) and Scholey 146) demonstrate the positive effects of energy drinks on cognitive performance. In the first article, they showed that combinations of caffeine and glucose may improve cognitive performance and self-reported fatigue during extensive periods in which high cognition is required 147). These double-blind, placebo-controlled, cross-over studies asked subjects to complete Serial 3s and Serial 7s subtraction tasks and a five-minute version of the Rapid Visual Information Processing task. The researchers rated subject performance a total of seven times per study, once before a drink was consumed and six times after. A total of two studies were conducted with 30 and 26 participants, respectively. In the first study, participants received, on three separate days, three drinks consisting of a combination of glucose and a lower dose of caffeine (68g glucose/36mg caffeine), glucose and a higher dose of caffeine (68g/46mg), and placebo. In the second study, participants received two drinks on two separate occasions: a combination of 60g glucose and 30mg caffeine and a placebo. The accuracy of the Rapid Visual Information Processing performance was improved in subjects that drank the glucose-caffeine beverages. Mental fatigue was also rated lower in the sub-set of participants that received the higher dose of caffeine in the first study and those who received the glucose-caffeine beverage in the second study 148). Some studies of energy drinks on adults revealed improved mental alertness, reaction times, and concentration 149), 150); others revealed no improvement compared with caffeine or glucose alone 151). One study of 14 young adults compared a complete energy drink mixture to the glucose fraction, the caffeine fraction, and the herbal fraction 152), 153). Although individual components did not enhance cognition, the combined ingredients did. Caffeine and taurine combined may synergistically decrease heart rate initially; one study found that 70 minutes after consumption, heart rate returned to normal and blood pressure increased 154), 155). Taurine similarly produced a reflex bradycardia when injected into the rat cerebroventricular system 156). Another study of 15 healthy young adults in a 7-day trial in which they consumed 500 mL of an energy drink each day with 160 mg of caffeine and 2000 mg of taurine, reported an average increase in systolic blood pressure of 9 to 10 mm Hg and an average increased heart rate of 5 to 7 beats per minute 4 hours after consumption 157). Caffeine- and taurine-containing beverages increased left atrial contractility in 13 athletes, thereby increasing left ventricular end-diastolic volume and stroke volume 158). The caffeine-only group showed no changes in left ventricular function 159). Taurine may cause this increase in stroke volume by suppressing sympathetic nervous stimulation and influencing calcium stores in cardiac muscle. Results of human and animal studies have suggested that long-term taurine exposure may cause hypoglycemia25 but a decreased risk of coronary heart disease 160). In animal experiments, taurine also has shown anticonvulsive and epileptogenic properties. Among 50 young adults who drank one sugar-free energy drink, hematologic and vascular effects included increased platelet aggregation and mean arterial pressure and a decrease in endothelial function 161). Guarana has antiplatelet aggregation properties in vitro, but how it functions physiologically in energy drinks is unknown 162). A study of 20 healthy subjects revealed that caffeinated espresso had no effects on endothelial function 163). Caffeine alone did not affect platelet function 164). Reyner and Horne 165) studied the effects of energy drinks on sleepiness. Their study sought to show that consuming these beverages reduced driving mistakes, such as lane swerving, and self-reported sleepiness when driving for extended periods of time. The double-blind study concluded that those who consumed a drink containing the ingredients also found in energy drinks (caffeine, taurine, sucrose, and glucose), as compared to those who were given a nonactive placebo drink, reported less sleepiness and increased alertness while driving 166). In a study of college students, 67 percent of the respondents consumed energy drinks to prevent falling asleep, 65 percent to increase energy, and 54 percent consumed the beverage to mix it with alcohol 167). The study involved completion of a questionnaire-based survey in 496 randomly selected college students in the United States. Perhaps the most interesting finding in this study was that individuals who mixed their energy drinks with alcohol in a social setting had more drinks (≥3) per sitting compared to those who only consumed energy drinks to prevent falling asleep or to increase energy. With such a difference in use within the same age group, there is a need for more studies to determine situations or settings in which greater consumption of energy drinks occur. Energy drinks can also have a negative effect on sleep, which may be modulated by caffeine. A study of 197 high school students found that 95 percent of participants reported recent caffeine use. Mixed users of caffeine and soda reported early morning awakening and daytime sleepiness compared to the low caffeine group 168). A separate study performed by Calamaro et al. 169) found that there was a 76-percent higher consumption of energy drinks among those students who reported daytime sleepiness. The students’ use of these beverages was linked to their use of modern technology gadgets late at night, therefore leading to the high consumption of energy drinks. The consumption of these beverages led to a reduction in alertness and an increase in daytime sleepiness the following day. The study suggested that the daytime sleepiness was due to high energy drink consumption the night before, but failed to address the impact of insufficient sleep the preceding evening. There is need for more detailed studies quantifying the actual number of hours slept, the amount and intensity of physical activities performed at night, and their association with energy drink consumption and daytime sleepiness. In a study conducted by Anderson et al. 170) showed that energy drinks with low caffeine content (30mg) did not counteract sleepiness and led to lower reaction time. They also found that although high levels of glucose may have a short-term alertness-enhancing effect, in the long term they increased sleepiness in those subjects who were sleep deprived. Jay et al. 171) investigated the effects of energy drinks on sleep hygiene following a period of wakefulness. The authors found that use of energy drinks to maintain alertness prior to an eight-hour period of recovery sleep negatively impacted total sleep time and sleep efficiency, but did not have a measurable effect on subsequent performance. Those who consumed energy drinks prior to sleep had 29.1 minutes less sleep and sleep efficiency was decreased from 91.8±0.9 percent to 84.7±2.7 percent 172). The results on the influence of energy drinks on sleep are conflicting and further study remains to be done. Individuals drink these beverages at various times of the day, whether it is in the morning, middle of the day, or at night. Energy drinks may be consumed alone, during a meal, or mixed with alcohol. The frequency of consumption of energy drinks and the reason for consuming alcohol may be related. The frequency of consumption of energy drinks was studied in a descriptive and cross-sectional study 173). Of 137 physical education college students queried, 39.4 percent had consumed energy drinks six or more times in the last month and 87.6 percent of these users mixed it with alcohol 174). The most common reason students gave for consuming energy drinks in this study was to improve the taste of alcoholic drinks. In a cross-sectional study of 602 adolescents and young adults from universities in New York 175), psychological effects, in terms of risk- taking behavior, were assessed via self-report. Frequency of energy drink consumption was positively associated with problem behaviors, particularly among Caucasian students. Across both races studied (African American and Caucasian), the increased problem behaviors exhibited were in the domains of sexually risky behaviors, marijuana use, fighting, and failure to use seat belts. Among Caucasian students, there was an additional association between frequency of energy drink consumption and prescription drug abuse, alcohol abuse, and cigarette smoking. The authors suggested that the frequency of use of energy drinks in combination with alcohol may increase one’s chance of engaging in risk-taking behaviors 176). Although self-report as a method of data collection is not always reliable, several studies have corroborated these results that consuming a combination of alcohol and energy drinks is associated with increased risk-taking behavior 177). In addition to the risk-taking behaviors mentioned in the previous study, combination alcohol and energy drink consumption has been associated with increased heavy episodic drinking and increased risk of either being taking advantage of sexually or taking advantage of others 178). Of particular concern, is the association found between frequency of energy drink consumption and alcohol dependence. In a study of 1,097 college students, high-frequency energy drink consumption, defined as use 52 days or more in the past year, was associated with greater risk for developing alcohol dependence, as compared to low frequency users and nonusers 179). In a study of 802 randomly selected and self-selected patrons using anonymous interview and breath-alcohol concentration readings, it was found that the consumption of alcohol and energy drinks together increased the chances of nighttime risky behavior such as drinking and driving 180). Those who only drank alcohol were less likely to drink and drive than those who drank alcohol and consumed energy drinks concurrently. This may be due to the finding that energy drinks reduced the depressant effects of alcohol intoxication 181). It is not clear if the reduction in depressant effects is subjective or objective. This theory was examined in a double-blind, placebo-controlled study of 27 noncaffeine-deprived women 182). Psychological effects were assessed using the Repeatable Battery for the Assessment of Neuropsychological Status, which measures impairments in immediate memory, language, attention, visuospatial/constructional, and delayed memory. Those who consumed the energy drink and alcohol had significantly lower post-test performance on a global score of neuropsychological status than those who drank a caffeinated beverage alone. Psychological deficits were specifically found in both visuospatial/constructional and language performance scores. These results contrast the commonly held belief of most young people that energy drinks nullify the negative effects of alcohol intoxication. In a related study, the combining effect of alcohol and energy drinks was found to subjectively reduce the perception of impairment in motor coordination and visual reaction time without any objective difference noted 183). The combined consumption of alcohol and energy drinks is associated with decreased awareness of physical and cognitive impairment caused by alcohol intake, which may then lead to further alcohol consumption. Although there is a decreased awareness of impairment when these beverages are consumed together, there is no actual reduction in alcohol-induced impairment. Additionally, due to the stimulant properties of the added caffeine and the dilution of the alcohol, individuals may remain alert longer, allowing for extended time in which to consume alcohol, which in turn may lead to binge drinking. There is some evidence that at lower levels, caffeine may alleviate some of the intoxicating effects of alcohol, but at higher caffeine levels there does not appear to be any modulation of impairment 184). Marczinski et al. 185) also found that consuming a combination of alcohol and energy drinks reduced impairment of response activation/execution that is normally induced by alcohol, but the combination did not affect the alcohol-induced response inhibition portion of behavioral control 186). Additionally, they found that the combination of alcohol and energy drinks was associated with increased subjective reports of stimulation. These two findings taken together—poorer behavioral/impulse control coupled with increased stimulation—may suggest that individuals drinking alcohol-energy drink mixes may have a greater likelihood of engaging in risky behaviors. Also of concern is the perception of being less intoxicated than is actually the case while behavioral control remains impaired. As there are many studies with conflicting results on the alcohol-energy drink effect on alcohol-induced impairment, further investigation of the mechanism of action of this interaction is warranted. Nutritional and tonic drinks, under which energy drinks can be classified, made up 43.1 percent of the modalities of use of complementary and alternative medicine in a Japanese study 187). Though there is a common cultural/regional belief that energy drinks improve the quality of daily life, there are few studies to support this claim. This belief is not restricted to Japan. According to Smith and Atroch 188), energy drinks that contain guarana have been used for hundreds of years as a tonic in countries like Brazil. A study of the effect of the dietary supplement L-carnitine, which is among the contents found in energy drinks, showed its effects on quality of daily life to be equivocal as measured by using the Anti-Aging quality of daily life common questionnaire in a double-blind study that involved 35 healthy volunteers 189). Vitamins are also important components of energy drinks, and in a study performed to document the effects of vitamin B supplementation and walking on quality of life, improvement in quality of daily life was found to be associated with walking but not with vitamin B supplementation 190). Further research is needed to investigate the specific impact of energy drinks on quality of daily life and wellbeing. The mechanism of action by which energy drinks induce or exacerbate mental illness is thought to be by way of caffeine and its effects on neurotransmitters 191). Through adenosine A1 and A2A receptor antagonism, caffeine inhibits the inhibitory effects of adenosine on dopamine, thus increasing the psychoactivity of dopaminergic systems (D1 and D2 receptors acted on by A1 and A2A, respectively) affecting mood, executive functioning, salience attribution, cognition, and regulation of behaviors 192). This appears to be true as caffeine has been shown to induce manic symptoms in those without bipolar disorder, and psychosis in those without a previously diagnosed psychotic disorder 193), 194), 195). These symptoms tend to resolve with discontinuation or significant reduction of caffeine consumption 196), 197). It has also been hypothesized that the mechanism by which caffeine-containing energy drinks induce psychiatric relapse is via competitive binding at CYP450 sites. With increased caffeine intake, these binding sites are overwhelmed by caffeine molecules, thus inhibiting binding by psychotropic medications. By this process, many antipsychotics and antidepressants will not be metabolized, thereby inducing relapse by decreasing efficacy of psychotropic medications 198). In a case report by Cerimele, Stern, and Jutras-Aswad 199), an individual diagnosed with schizophrenia was noted to experience psychotic symptoms resulting in readmission to the hospital after increased consumption of energy drinks. After his first beverage, the subject reported an increased interest in activities and improved mood. Eventually, the subject increased his consumption of energy drinks to 8 to 10 cans (16oz per can) daily. After two months, the subject was hospitalized with symptoms of paranoia, internal preoccupations, constricted affect, and delusional religious beliefs. Ten days after hospitalization and discontinuation of the excess dietary caffeine, the degree of paranoia, preoccupations, and other psychotic symptoms displayed while consuming the energy drinks decreased to pre-study levels without an increase in maintenance antipsychotic medication 200). The authors were convinced that the temporal evidence gathered by this case report demonstrates enough evidence to prove their hypothesis correct, although more studies are necessary to confirm these findings. Chelben et al. 201) reported on three patients who also demonstrated increased psychiatric symptomatology leading to inpatient hospitalization with use of energy drinks. The first case described a 41-year-old woman with cluster B personality traits consistent with borderline personality disorder who drank five or more energy drinks per day for one week. Upon dissolution of monetary assets, she abruptly stopped her energy drink intake and was hospitalized the following day with signs and symptoms of hypervigilance, aggression, psychomotor agitation, and impulsivity. The second case described in this report was of a 38-year-old woman with a psychiatric history significant for comorbid bipolar disorder, borderline personality disorder, and polysubstance dependence. She began drinking 5 to 10 energy drinks per day with a resultant “high, like on drugs,” and improved affective control with better control over her anger. Like the previous case, on hospital admission she exhibited impulsivity and psychomotor aggitation with additional onset of self-injurious behaviors and beginning insomnia. The final case described a 25-year-old man with schizophrenia who, for one month prior to hospitalization, had been consuming 8 to 9 energy drinks in one sitting. He too exhibited signs of hypervigilance, aggression, and psychomotor agitation, as well as thoughts of self-harm. These authors also acknowledge that while the temporal relationship between intensification of energy drink consumption and mental deterioration appears to be associated, this does not confirm a causal relationship 202). However, there are several reports of caffeine-induced mania in patients with bipolar disorder 203) and suicidality in those with depression 204) with doses of caffeine greater than 300mg per day. At doses greater than 450mg per day, caffeine has been shown to induce or exacerbate anxiety 205), especially in patients with panic disorder 206), and in family studies, the same effect was detected in first-degree relatives 207). Caffeine was also shown to exacerbate anxiety in depression 208), generalized anxiety disorder 209), and social anxiety disorder-performance subtype 210). Paradoxically, in a double-blind, placebo-controlled study, Koran et al. 211) showed that a single large dose (300mg) of caffeine daily may provide added symptom reduction when used to augment a selective serotonin reuptake inhibitor in those with treatment-resistant obsessive compulsive disorder (OCD). Caffeine may be beneficial in obsessive compulsive disorder as compared to other anxiety disorders due to the differential symptomatology 212). Whereas most anxiety disorders consist of irrational or disabling worries and fears, in OCD, individuals suffer from ruminative thoughts leading to compulsive behaviors. Koran et al. 213) hypothesized that the caffeine-induced increase in dopamine may lead to increased D1 receptor binding in the prefrontal cortex resulting in enhanced attention and working memory. Thus, individuals with OCD should be able to divert their attention away from intrusive thoughts, which then decreases reactive compulsive behaviors. By the same mechanism—increased D1 activity in the prefrontal cortex—caffeine may be beneficial in attention deficit hyperactivity disorder (ADHD) by increasing the ability to sustain attention, resulting in decreased reaction times, enhanced executive functioning, and increased processing speed 214). ADHD occurs in 8% to 16% of US school-aged children and may be more prevalent in children with heart disease 215). Some 2.5 million US children take stimulants for ADHD, which may increase heart rate and blood pressure 216). Children with ADHD have higher rates of substance abuse, including the abuse of caffeine, which blocks the A2A adenosine receptors and thereby enhances the dopamine effect at the D2 dopamine receptor, similarly to the way guanfacine works for ADHD 217). For the subpopulation with methylphenidate cardiotoxicity, energy drink use may increase cardiac events 218), 219). As with the ADHD stimulants, the combined effects of energy drinks and antidepressants are unknown 220). At moderate doses, defined as less than 150 to 200mg of caffeine per day, caffeine has been shown to have neuroprotective effects as well as positive effects on mental illness. Moderate intake has been associated with fewer signs and symptoms of depression 221), including decreased risk of suicide 222), and cognitive improvement/delay of cognitive decline 223). However the mood-enhancing effect of caffeine appears only to occur in regular consumers of caffeine, whereas caffeine-naive consumers tend to derive performance-enhancing benefits 224). As there remains a dearth of literature on the effects of energy drinks on patients with psychiatric illness, save for scattered case reports, the short- and long-term effects on these individuals’ mental health remains unknown. But based on the four aforementioned case studies, it appears that energy drinks may trigger acute psychiatric decompensation as manifested by increased hypervigilance and alertness, psychomotor agitation, exacerbation of psychosis, and self-harm behaviors leading to inpatient hospitalization. Further studies are needed to elucidate whether it is the frequency or amount of use, the type of energy drink, or the individual or combination of components that have the greatest impact on mental health. Also, further investigation is needed to evaluate the desired effects sought by consumers as they may vary differentially in those with mental illness as compared to those without. The literature does suggest that individuals with mental health issues may use energy drinks as a form of self-medication as has been shown with other types of cognitive and mood altering substances 225). Additionally those with mental illness, given their vulnerability, may be predisposed by virtue of their underlying illness to respond differentially, positively and negatively, to energy drinks as purported mood- and cognitive-enhancing substances. Lastly, almost all the effects of energy drinks are related to the frequency and quantity of consumption, as well as the concentration and interaction between the contents. For example, the quantity of caffeine can vary from 50mg to 505mg per can or bottle of these beverages. As such, all energy drinks are not the same and should not be treated the same. There is a need to categorize energy drinks into one of three groups: low, moderate, or high caffeine energy drinks. One of the findings of this review indicates that psychological effects may be dose dependent, so consumers should also be encouraged to reduce the frequency of consumption. Another potential intervention is to require the manufacturers of energy drinks to fully disclose all their contents and their potential adverse effects so consumers can make more informed choices. Although there’s very limited data that caffeine-containing energy drinks may temporarily improve alertness and physical endurance, evidence that they enhance strength or power is lacking. More important, they can be dangerous because large amounts of caffeine may cause serious heart rhythm, blood flow, and blood pressure problems. Based on this study 226) evidence in young, healthy adults – where the QT interval and systolic BP were significantly higher post high‐volume energy drink consumption when compared with caffeine alone. People who have high blood pressure, underlying cardiac conditions or other health issues might want to avoid or use caution when consuming energy drinks until more is known about their impact on heart health. The amounts of caffeine in energy drinks vary widely, and the actual caffeine content may not be identified easily. Large amounts of caffeine may cause serious heart and blood vessel problems such as heart rhythm disturbances and increases in heart rate and blood pressure. Caffeine also may harm children’s still-developing cardiovascular and nervous systems. Caffeine use may be associated with palpitations, anxiety, sleep problems, digestive problems, elevated blood pressure, and dehydration. Guarana, commonly added to energy drinks, contains caffeine. Therefore, the addition of guarana increases the drink’s total caffeine content. Young adults who combine caffeinated drinks with alcohol may not be able to tell how intoxicated they are. Excessive energy drink consumption may disrupt teens’ sleep patterns and may fuel risk-taking behavior. Many energy drinks contain as much as 25–50 g of simple sugars; this may be problematic for people who are diabetic or prediabetic. Consuming energy drinks also increases important safety concerns. Between 2007 and 2011, the overall number of energy-drink related visits to emergency departments doubled, with the most significant increase (279 percent) in people aged 40 and older. According to the Centers for Disease Control and Prevention (CDC), in 2007, 1,145 adolescents aged 12 to 17 went to the emergency room for an energy drink related emergency, in 2011 that number climbed to 1,499 227). A growing trend among young adults and teens is mixing energy drinks with alcohol. About 25 percent of college students consume alcohol with energy drinks, and they binge-drink significantly more often than students who don’t mix them. In 2011, 42 percent of all energy-drink related emergency department visits involved combining these beverages with alcohol or drugs (including illicit drugs, like marijuana, as well as central nervous system stimulants, like Ritalin or Adderall). More than 40 percent of 5,156 calls about energy drinks to U.S. poison control centers involved children younger than 6 with some suffering serious cardiac and neurological symptoms, according to a new study presented at the American Heart Association’s Scientific Sessions 2014 228). From October 2010-September 2013 records of the American Association of Poison Control Centers’ National Poison Data System, of the 5,156 reported cases of energy drink exposure, 40 percent were unintentional, (i.e. unforeseen or unplanned) exposures by young children. 15. ↵ Packaged Facts. Energy drinks in the US. Rockville, MD: 2007. 28. ↵ B.B. Fredholm, K. Battig, J. Holmen, A. Nehlig, E.E. Zvartau. Actions of caffeine in the brain with special reference to factors that contribute to its widespread use. Pharmacol. Rev., 51 (1999), pp. 83-133. 43. ↵ S. Milanez. Adverse Health Effects of Caffeine: Review and Analysis of Recent Human and Animal Research. Oak Ridge National Laboratory, Oak Ridge, TN (2011). 48, 81. ↵ Schneider MB, Benjamin HJ. Clinical Report–Sports Drinks and Energy Drinks for Children and Adolescents: Are They Appropriate? Pediatrics. 2011;127(6):1182–1189. 49. ↵ Heckman MA, Weil J, Gonzalez De Mejia E. Caffeine (1, 3, 7-trimethylxanthine) in Foods: A Comprehensive Review on Consumption, Functionality, Safety, and Regulatory Matters. Journal of Food Science. 2010;75(3):R77–87. 53. ↵ Lipshultz S. High risk: Ban energy drinks from schools. Miami Herald. April 20, 2008:4L, L4. 60, 69. ↵ Rogers PJ. Caffeine, mood and mental performance in everyday life. Br Nutr Found Nutr Bull. 2007;32(suppl l):84–89. 72, 227. ↵ Center for Behavioral Health Statistics and Quality. The DAWN Report: Update on Emergency Department Visits Involving Energy Drinks: A Continuing Public Health Concern. Rockville, MD: Substance Abuse and Mental Health Services Administration; 2013. 73, 80. ↵ Seifert SM, Schaechter JL, Hershorin ER, Lipshultz SE. Health effects of energy drinks on children, adolescents, and young adults. Pediatrics. 2011:peds. 2009–3592. 82. ↵ National Federation of State High School Associations. Position Statement and Recommendations for the Use of Energy Drinks by Young Athletes; 2014. 83. ↵ Chriqui J, Resnick E, Schneider L, et al. School District Wellness Policies: Evaluating Progress and Potential for Improving Children’s Health Five Years after the Federal Mandate. School Years 2006-07 through 2010–11. Chicago, IL: Bridging the Gap Program, Health Policy Center, Instriture for Health Research and Policy, University of Illinois at Chicago; 2013. 95. ↵ Babu KM, Church RJ, Lewander W. Energy drinks: the new eye-opener for adolescents. Clin Pediatr Emerg Med. 2008;9(1):35–42. 99. ↵ Ahuja, J.K. and B.P. Perloff. 2001. Caffeine and Theobromine Intakes of Children. Results from CSFII 1994-96, 1998. Family Economics and Nutrition Review 13(2):47-50. 110. ↵ The editors. Carnitine: lessons from one hundred years of research. Ann NY Acad Sci 2004;1033:ix-xi. 111. ↵ Koeth RA, Wang Z, Levison BS, Buffa JA, Org E, Sheehy BT, Britt EB, Fu X, Wu Y, Li L, Smith JD, Didonato JA, Chen J, Li H, Wu GD, Lewis JD, Warrier M, Brown JM, Krauss RM, Tang WH, Bushman FD, Lusis AJ, Hazen SL. Intestinal microbiota metabolism of L-carnitine, a nutrient in red meat, promotes atherosclerosis. Nat Med. 2013 Apr 7. 126. ↵ Rasmussen CB, Glisson JK, Minor DS. Dietary supplements and hypertension: potential benefits and precautions. Journal of Clinical Hypertension. 2012;14(7):467-471. 127. ↵ Thomas JE, Munir JA, McIntyre PZ, et al. STEMI in a 24-year-old man after use of a synephrine-containing dietary supplement: a case report and review of the literature. Texas Heart Institute Journal. 2009;36(6):586-590. 177. ↵ Berger LK, Fendrich M, Chen HY, et al. Sociodemographic correlates of energy drink consumption with and without alcohol: results of a community survey. Addictive Behaviors. 2011;36(50):516–519. Berger LK, Fendrich M, Chen HY, et al. Sociodemographic correlates of energy drink consumption with and without alcohol: results of a community survey. Addictive Behaviors. 2011;36(50):516–519. How much water should you drink every day ? Is coconut water good for you ? Are there any health benefits to maple syrup ? Is bulletproof coffee good for you ? Is coffee good or bad for you ?